Then on Friday…one of the most anticipated nights of the year…the Isaacs came to Baxter, MN!!! Most of us LOVE the Isaacs, I being the biggest fan, so a chance like this could not be missed. 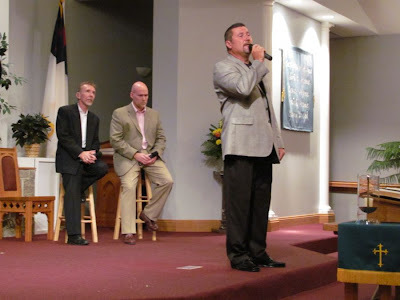 The Isaacs NEVER come up to this area; the closest they have come has been in a Gaither Tour. 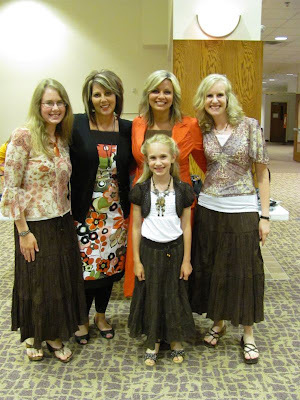 They sang at Heritage Assembly of God, which is where we see Legacy Five each year, and where we sang July 3rd, 2009. Mom, Leesha, Jayme and I headed to Baxter, and after about two hours of bumpy roads, detours, and the car acting goofy, we finally reached our destination. It was fun to see our good friend Bill Holbrook and everyone we have met at Heritage again. As usual, we claimed front row to make sure we had a good view of everything that was going on. But we couldn’t wait for the Isaacs to start! When Lily, Ben, Sonya, and Becky (and the band) finally began, it was like a “Little Bit of Heaven”! What talented, powerful, Spirit-filled musicians and singers! Their harmonies make you cry and their smiles brighten your day. 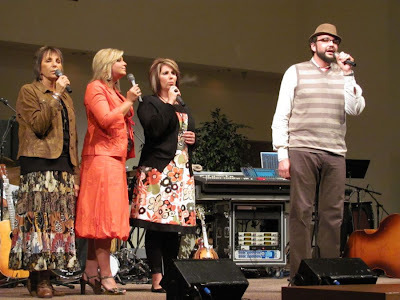 The Isaacs have a strong message and inspiring testimonies; they are the “gold standard” in family gospel music. We also closely observed their “table manners” and were pleased with what we saw. They are real behind the table as well as on stage. 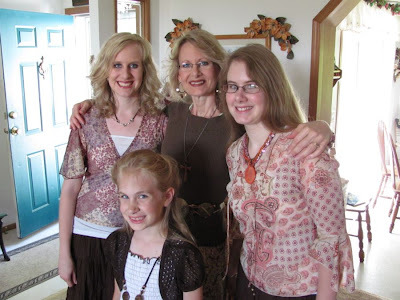 Lily and her “kids” encouraged us greatly and took time to show interest in our family band. Becky asked us to sing for her, but we were uncertain and too nervous, so we passed it up. Oh well! 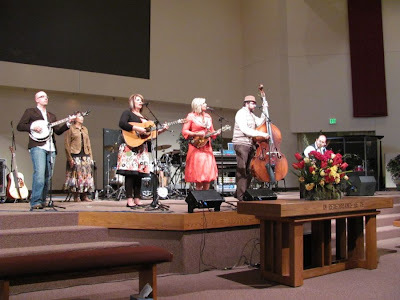 On Saturday evening, the whole family went to go see our friends, the Gospelmen from Michigan in Hinckley, MN. Even though it was storming outside, we had a good time listening to Gregg, Tim, and Scott and enjoyed chatting with them afterwards. 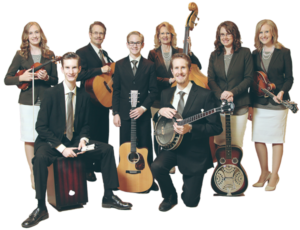 Sunday found the Great Adventure Gospel Band traveling to Pine City to join our friends at Zion Lutheran for a concert of fun and fellowship. With a weekend off, it was nice to sing again in public and to share what the Lord has done. Also it was neat to support a new missionary traveling to the Far East; the concert was a fundraiser for Brittney and it was awesome to hear her story. Special thanks to our friends, the Kleppes, for their sweet hospitality! I’ll have pictures of that night soon. P.S. Visit http://www.fogma.org/ for updates and a special offer for family groups.